Thanks for visiting Audiko.net! 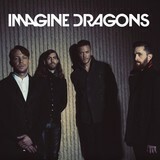 We propose to download a free Imagine Dragons ringtones for your iPhone or mobile. Scope out your favorite moment from your favorite hit - Imagine Dragons - Believer, Lil Wayne, Wiz Khalifa & Imagine Dragons - Sucker for Pain (, Imagine Dragons - Demons, or any other track. Depending on a phone model, you can have your track piece both in the MP3 and m4a formats, compatible with both mobile phones and iPhones. Just select a track, and choose free Imagine Dragons ringtones download option.